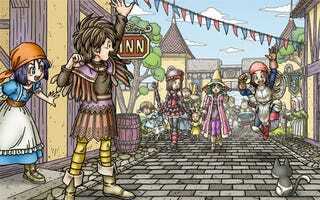 Is your Dragon Quest IX: Sentinels of the Starry Skies experience a little lonely? Mine was. For those in the United States who are looking for an adventurous friend (and a few exclusive downloadable treasure maps), Nintendo brings good news. DQIX players can get their "Tag Mode" on and partake in the downloading of new maps at events happening at GameStops, Best Buys and select malls in the U.S. It's a chance to rub elbows wirelessly and see how the other, more connected half lives.